Projects, campaigns and strategies that BUILD TRUST, INCREASE CONNECTIVITY and STRENGTHENS RELATIONSHIPS. 2018 IMLS National Medal Winner - the nation’s highest honor given to museums and libraries for community service. Serving as project director of the Detroit Historical Society’s ground-breaking Detroit 67: Looking Back to MOVE FORWARD project demonstrates my ability to navigate the complex and polarizing history of the city’s most emotionally and economically scarring incidents in effort to move the region forward. In commemoration of the 50th anniversary of the Detroit Uprising 1967, this multi-year project was designed to serve as a model – Engage, Reflect, Act – for bringing diverse voices and communities together around the effects of a historic crisis to find their roles in the present and inspire the future. The project’s centerpiece is the million-dollar Detroit 67 Perspectives Exhibition covering will cover a period that looks back 100 years and forward 50 years to 2067 in effort to better understand our collective history to inform and define our future. The soundtrack of the exhibition was powered by over 500 written and oral histories. More than 100 nonprofit, government, foundation and corporate partners were activated to address four critical imperatives that have plagued the city for years: Economic Inclusion & Opportunity, Race Relations, Youth Engagement & Leadership Development, and Neighborhood Advancement designed to streamline The fund development strategy – raised over $4 million in two-years – focused on programming and narrative control, organizational capacity and a long-term path of institutional sustainability. Since its start in 2015, the Detroit 67 campaign has generated over 1 billion gross impressions. Remember the series of tweets that recounted the events of 50 years ago as though they were in real time? That was us. Remember the Gordon Park (at the intersection of where the unrest started) make-over, community programs and other events this past summer and fall? That was us. 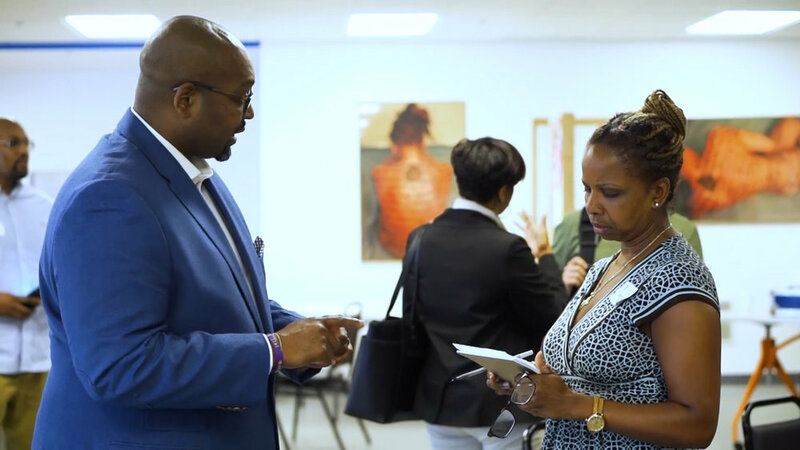 We fostered meaningful dialogue about race, systemic causes of inequality and opportunities to take the collective action that can help move our community forward. MASH Detroit is a neighborhood incubator and community bridge that helps people from all walks of life collaborate, build businesses and re-imagine shared physical spaces. It’s important to note, MASH is not simply a place. It is a series of concepts, connections and organic social collisions that bring diverse people, ideas and experiences together. The prototype was tested and affirmed through a series of curated non-profit programs, pop-ups, meetings and events in a 6,000 square-foot street level storefront on lower east side of Detroit at its historically controversial border with Grosse Pointe. During an 18-month period, this effort mobilized a community engagement, small business and learning network that attracted over 25 non-profit partners, 250 entrepreneurs and thousands of residents and visitors to an area that lacked foot traffic and visibility. The belief is that MASH can be replicated throughout Detroit, acting as a catalyst for further investment of time, talent and dollars into local communities. This combats Detroit’s “tale of two cities” narrative and visions beyond the 7.2 square miles of downtown and midtown. The hope is that this effort produces a ripple effect (or Butterfly Effect) throughout neighborhoods, bringing together individuals and inspiring projects that would otherwise go unrealized. 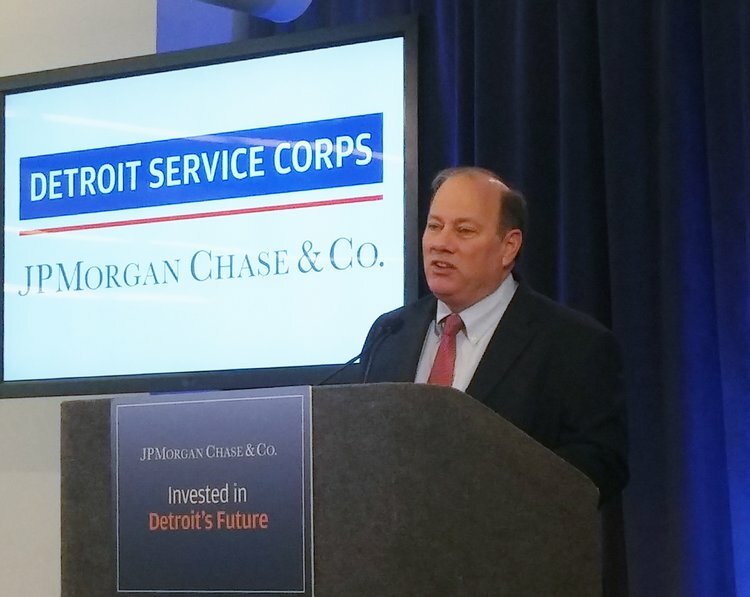 Served as the exclusive business consultant and community liaison for the J.P. Morgan Chase Detroit Service Corps program. As part of its five-year $100 million investment in economic recovery, Chase launched a three-week, skills-based volunteer program that engages top-performing employees from around the world who share their expertise via probono consulting to help nonprofit partners expand their impact on the community. Chase committed to send two teams per year with each team made up of 12 employees from across lines of business and locations around the world including New York, Sydney, São Paulo, Mumbai, Hong Kong and others. My efforts helped design and facilitate 24 business projects for nonprofits that otherwise they would not have access the corporate expertise of the service corps. Consulting with the Detroit Lions’ “Living for the City” philanthropic initiative is a concrete example of my leadership in economic mobility. Their investment enabled Baltimore-based non-profit Vehicles for Change Inc. (VFC) to expand its geographic footprint to Detroit. The program empowers families with financial challenges to achieve economic and personal independence through car ownership and technical training. I was recruited by the Lions to serve as the lead agent and public interface for the VFC car ownership program and social enterprise launch in Detroit. My scope of work as interim executive director included: strategic partnerships, local advisory board formation, fund development and start-up business planning. The program successfully launched with a funding pipeline of approximately $500,000 – in a neighborhood with the highest concentration of the city’s youth. In commemorating 150 years of academic and research excellence in Detroit, Wayne State University (WSU) launched a university-wide initiative as a testament to its unwavering social responsibility and commitment to the community during a year of sesquicentennial celebration. This effort engages and activates all of WSU's stakeholder groups, including students, faculty, administration and staff, alumni, the Board of Governors and supporters, in meaningful community service across the metro area. The goal – 150,000 volunteer community service hours in 2018. My team developed the concept and is charged with designing and managing creative, impactful and inclusive service experiences for a small army of dedicated volunteers that extend deep into Detroit neighborhoods and across the metro area.